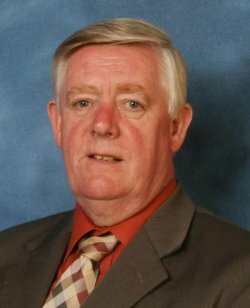 We have just heard that Councillor Mike Rumney, Fife Labour member for Dunfermline South Ward has passed away. Our sincere condolences and sympathies to his family at this time. Mike was a well-regarded local Councillor for many years and his passing has brought nice comments from political allies and opponents alike. He was Chair of the City of Dunfermline Area Commitee and also sat on the Executive Committee of Fife Council. Our Facebook post has been receiving a lot of tributes to Cllr Rumney and they can be read or added to here.